The “Garden Guardian” program is a new partnership between Keep Moline Beautiful, the City of Moline, and residents who want to assist in the beautification of specific gardens within the City. Individuals, clubs or civic groups, and even businesses are eligible to choose a garden along Ben Butterworth Parkway, at an entrance-to-the-City location, or at one of the planting sites near a city building and do what is necessary to make the garden “bloom.” The City will supply some materials, but the volunteer gardeners are encouraged to use their creativity as well as their muscle to make Moline more beautiful. The Park Operations Manager and a representative from the Keep Moline Beautiful Commission are available to assist with specific garden plan development. This includes selection of plants, bed design, plant care information, pruning consultation, etc. City of Moline Park Operations staff will remove yard waste from garden sites upon request. Mulch will be supplied as needed. Resources for additional plants and planting materials are available on a limited basis and requests must be submitted to the Park Operations Manager for approval/procurement. 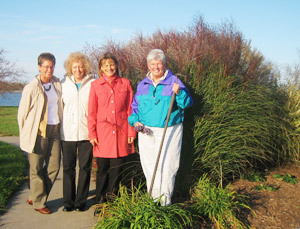 Garden Guardians will present plans for plantings and work to be completed at their garden by March 1st of each year. 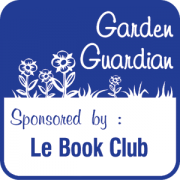 Garden Guardians will weed and remove undesirable plants and trash from their garden. Garden Guardians will plant their garden and keep it weeded, watered, deadheaded and maintained in good condition for the growing season. Garden Guardians will adhere to basic safety guidelines and procedures. Please contact us to learn more about adopting a garden.